A+E Networks may become the first major TV network group to offer business outcome-based guarantees as its primary assurance for some TV advertising deals in the upcoming upfront. A+E says initial business outcome guarantees will focus on the number of website visits or in-store foot traffic of a marketer’s business. The move shifts a decades-long emphasis on making guarantees on commercial TV ratings, based on age and gender. Before that, the focus was on program TV ratings. While TV networks and advertisers have used additional consumer data to supplement Nielsen-based ratings currencies for years, A+E Networks wanted to take the next step. “What we felt was missing was the last frontier, to go a step further and guarantee the outcomes that the clients care about the most,” says Peter Olsen, executive vice president, ad sales, A+E Networks, speaking to Television News Daily. Olsen says the new business-outcome deals will be limited -- possibly for a quarterly period of an upfront advertiser’s year-long buy or a specific campaign flight. He first mused about the possibility of offering these new guarantees on May 2 during MediaPost’s Outfront event in NYC. Recently, A+E Networks -- as part of an ongoing deal with Data Plus Math, a TV attribution company -- announced an expansion with the company, in which business outcomes can be specifically tied to TV commercials, as well as cross-screen exposure of those ads. Other TV networks also made agreements with Data Plus Math, but those networks have not confirmed that they will be the basis for guarantees to marketers. He believes most TV advertisers could benefit. For example, he says TV continues to be championed by many advertisers; and business outcome measures would offer more evidence of its effectiveness. “We especially hear it from QSRs [quick-service restaurants], which say 'we know when we [advertise] on TV, people go to the restaurants'." In addition, Olsen believes this could attract some pure digital media marketers that haven’t moved into TV -- marketers more comfortable in taking on new ROI metrics. “If you look at the economics of the TV landscape, there hasn’t been any huge new categories in the while,” he says. A number of other network groups have also made agreements with attribution-analytic companies, including NBCUniversal with iSpot.tv. But many have stopped short of saying they will offer guarantees based on that data. Starting in 2007, national TV networks moved from program-rating guarantees to commercial-ratings guarantees -- starting with a C3 rating metric. That is the Nielsen-based average commercial minute rating plus three days of time-shifted viewing. In recent years, many deals have also expanded to include C7 guarantees -- seven days of time-shifted viewing. Olsen says advertisers agreeing to these new metric guarantees in specific periods would revert to C3/C7 metrics for the reminder of their deals. For some years now, many TV networks have offered "secondary guarantees" on data other than TV-based measures -- but these are not the primary, or main, negotiating Nielsen C3/C7 guarantees that have been agreed to with advertisers. 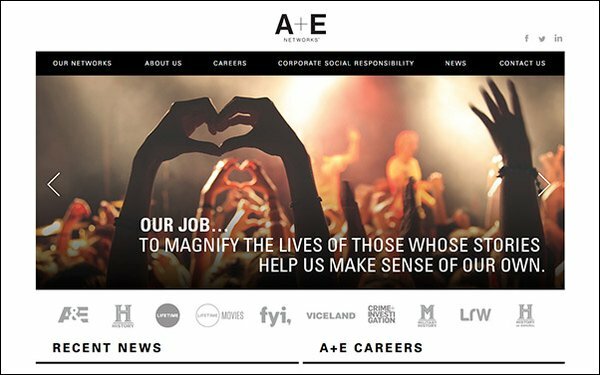 As part of its announcement, A+E Networks says it is offering advertisers three tools to support this new guarantee effort: attribution measurement, audience targeting and consumer insights and analytics. A+E Performance is the company’s attribution product that provides television "ascription" and cross-screen measurement from Data Plus Math, with the help of analytics partners, including Nielsen Catalina, Millward Brown, Acxiom and iSpot.tv. A+E Precision is an audience-based targeting platform, which started in 2012, when the network launched its programmatic digital video efforts for marketers. The third focus for marketers is A+E Intelligence, a consumer consultation unit offering consumer insights and analytics. 3 comments about "A+E Offers Limited Guarantee Deals Based On Business Outcomes". Ed Papazian from Media Dynamics Inc, May 9, 2018 at 11:48 a.m.
Wayne, did you ask the A&E folks if they can estimate what percent of their annual ad volume will be written without any Nielsen audience guarantees but only on "outcome" metrics? This report is prsented in such a manner---probably because that's the way A&E explained it-----to suggest that this might represent a significant amount of "linear TV" ad dollars when it is probably just the beginning of such ventures and, like all new initiatives, will start out pretty small. Neil Ascher from The Midas Exchange, May 9, 2018 at 12:12 p.m.
Any given campaign will contain multiple cable networks, perhaps broadcast networks and syndicated properties (not to mention other non-TV media). Have they explained how they will attribute results to only the A&E networks? Ed Papazian from Media Dynamics Inc, May 9, 2018 at 5:39 p.m. I doubt it, Neil. The key word in this announcement is "limited" guarantees. I wonder what that means?